Welcome to Study Campus, a pioneer in the field of educational institutes. Our coaching institute has been delivering excellence in the said field for years and has prepared endless students for different competitive examinations. Having a pool of knowledgeable and highly experienced faculty members, we have also ventured into nurturing students for the UPSC examinations, which is considered to be the toughest national level competitive examination. Our UPSC coaching classes in Andheri offers a friendly yet competitive learning environment for all our students. We don’t focus on preparing our students for only the written examinations, but we prepare them in a way that they can come out successful from the toughest of selection processes. This is one of the many reasons, why our coaching for UPSC in Andheri is counted among the top 5 reliable learning institutes across Mumbai. The reason why many young enthusiasts prefer UPSC over other competitive exams is the security and reputable work position that UPSC offers its selected candidates. You can expect the difficulty level of the examination to be higher compared to other exams, so it becomes crucial to have a reliable coaching institute by your end that can prepare you well enough for the exam. Whether you want to work as an IAS officer or an IPS officer, our UPSC coaching classes in Andheri will help you fulfill your dream. Our qualitative teaching methods and high student success rate bring about many inquiries from students residing in different areas including Marol, Sahar Village, J B Nagar, Vile Parle (East & West), Amboli, and many more locations as well. You can visit our institute for getting detailed information on our offered courses. 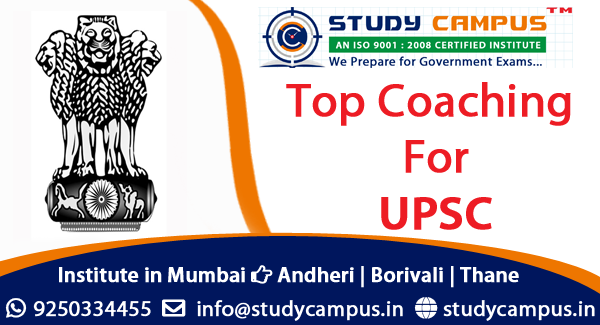 You may find various coaching for UPSC in Andheri but not will offer quality tutorial as promised earlier. If you want to join the best institute, then join us. You can consider the following reasons to enroll in our upcoming UPSC batch.